We can’t deny the fact that smartphones have made our lives much easier and entertaining. They provide us not only the entertainment, but also the satisfaction. But what if your smartphone’s battery is draining too fast? Well, this is not a good thing because you can’t fully enjoy your phone. But don’t you worry, we’ll show you some Android OS battery drain fix that will help you overcome your phone’s drain issue. In addition, most smartphones today have a battery capacity that can last for some time, allowing us to watch videos, play games, or listen to music for a longer period. And obviously, it’ll be quite hard for us to use a phone that has a battery that drains quickly. Thankfully, there are some ways you can do to stop Android OS battery drain, and that’s’ what we are going to talk about today. Now, let’s figure out the things that commonly drains your smartphone and how you can fix them. Well, for every problem, there is a solution. Furthermore, fixing an Android battery issue isn’t really that hard, but for new Android users, this can be quite confusing and at the same time frustrating. And for us to help you prevent your Android phone’s battery from draining too fast, we’ll show you some easy and helpful tips that will let you get more battery life. 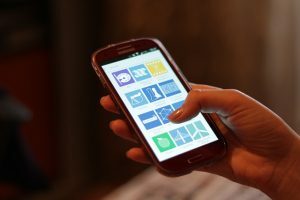 Too many apps aren’t bad, but they can consume a huge amount space on your mobile device memory. Well, this is not only the problem of having many apps. Sadly, there are some Android applications that always run in the background. To simply put, those apps are still running – even when you are not using them, and this drains your phone’s battery without you knowing. Moreover, apps, particularly those that are too heavy, eats too much RAM, which not only consumes your phone’s memory, but also your precious battery. Solution: First, you must find and remove those apps that drain your battery on Android fast. If you have some applications that you don’t usually use, you can uninstall those right away. But if you already delete the useless apps on your Android smartphone, try going to the Settings and Battery. Here, you can see which hidden app is running in the background. Unfortunately, you cannot delete system applications, but you can clear their cache to provide more space for your RAM. The display settings of your phone can also cause battery drain, especially if the brightness is too high. Setting the brightness levels of your smartphone to high can consume your battery life quickly, particularly if the screen is on for some time. Solution: You might want to turn off the Auto Brightness feature if your smartphone has it. This feature is undoubtedly great as it automatically sets your screen’s brightness based on the lighting condition, but you may want to turn this off if you want to extend your phone’s battery life. Instead, just set the brightness to low manually – this will allow you to save a bit of the battery life. Widgets let us quickly and easily access apps on the home screen of our phone. Although widgets are one of the best smartphone features, they can eat too much RAM and also drain our smartphone’s battery faster as well. Solution: Try to completely eliminate all the widgets from your phone. After all, you don’t really need them, unless you want to instantly access any apps. Or if you don’t want to delete your phone’s widgets, just try to minimize the widgets on your phone screen. This should help you increase battery life and prevent your battery from draining too quickly. Yes, live wallpapers are cute, but they are really not that battery-friendly. Live wallpapers don’t stop working – they run in the background all the time. Since live wallpapers don’t stop running, unless you manually turn them off, they can consume a huge amount of your battery life. Solution: Simply turn live wallpapers off and use a plain background instead. Once you remove this feature from your smartphone, you should immediately notice the difference of your battery life – you’ll be able to use your phone quite longer than before. Most Android phone apps use location services that will let you access your location information. But not many people know that this feature can drain your smartphone’s battery life instantly, particularly if it is always on. Solution: Turning this feature off lets you effortlessly save your phone’s battery. For the best result, it would be much better if you can always turn the Location Service off unless you use any maps application on your phone, there is no other reason to turn this on. There you have the things that usually drains your Android battery. Also, provided above are also the solution for the common factors that affect your phone’s battery life. And to help you get the best out of your smartphone, we’ll show you what you can do to easily and effectively maintain your Android phone’s battery. A mobile phone battery life can last for years – that if it is properly maintained. However, if a battery is not well taken care of, expect its performance and life to fade earlier. This is the reason why it’s important to understand how you can properly take care of your phone’s battery. 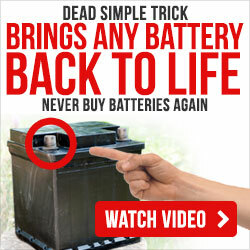 But how can you properly take care of a battery? Let’s tackle that below. We understand how entertaining it is to play a game or watch a movie on a phone, but using your mobile phone, especially for long hours, can lead to overheating. And as much as possible, you might want to avoid your phone from overheating regularly. But why? Some studies show that when mobile phone heats up, the batteries tend to degrade quicker. Well, it’s normal for mobile devices to warm up a bit, especially when playing high-quality games. And to cool it down faster, try to stop for a while and let it rest until it completely cools down. Or for the quicker result, just turn off the phone. If you notice that your phone’s battery life is dying out much faster than before, clearing the cache might help you solve that issue. This will let you clear the background process that has been running in the background. You can do this by simply accessing the Recovery mode of your phone. And accessing this mode is different from every device. But commonly, most Android devices can access this by pressing the volume down and power key at the same time until the logo the phone shows up. The good news is there are some apps that will allow you to extend your Android battery life. So, if you’re wondering what these applications are, better take a read below. This application is a feature included in Android 6.0 Marshmallow OS. Doze can greatly help you prevent the battery life from draining too quickly, especially when your mobile phone is idle. But keep in mind that Doze only works when your phone is unplugged and has been idling for at least more than 30 minutes. In addition, Doze is compatible with any Android devices that have Android 4.1 or higher – you’ll be able to use it without upgrading to Marshmallow OS. Greenify is undoubtedly one of the best apps that will help boost and maintain your Android OS battery life. This remarkable app for Android puts your battery-draining apps to hibernation mode automatically when you are not using them and when your screen is off. But take note: all your apps, including system apps, can be affected by Greenify, making them unusable. But don’t you worry, you can always choose which app you want to hibernate or sleep through Greenify application itself. Well, a smartphone battery can last for some years. But of course, proper and regular maintenance is required for you to take care of your phone battery life properly. And with our Android OS battery drain fix guide above, you can now easily identify the main causes of battery drain, and how you can solve it. After doing the tips we provided, your phone’s battery life should last longer like the first time you use it. With our guide, you can now fully enjoy and use your smartphone for quite some time. But also, don’t forget to keep an eye on your battery! Just take proper care of it, and it should do well just fine. Well, you can try any other methods to keep your Android battery in its tip-top condition – what we have given you are just some of them. And to ensure your battery won’t fail you, as much as possible, try to follow and do our tips – it’ll be worth it! For iPhone users, read this information about iPhone battery charging tips!